As ethical and animal welfare concerns grow, fur farming bans are spreading across Europe. The tide is turning and this is the time to show why the fur industry belongs in the past, write Jon Vinding and Reineke Hameleers. Joh Vinding is the chair of the Fur Free Alliance and Reineke Hameleers is the director of Eurogroup for Animals. In the wild, mink lead solitary lives close to water, where they spend a lot of their time hunting, swimming, and diving. A significant part of the mink’s hunting behaviour is conducted in water. They are semi-aquatic animals with partially-webbed feet and demonstrate a strong requirement for swimming water. Farmed mink are kept in batteries of small wire cages with thousands of individuals forced to live in close proximity to each other. Welfare problems, such as self-mutilation, fur chewing, and stereotypes, are prevalent in these production systems. This is the reality. However, with growing concerns about animal welfare and ethics, the tide is turning – fur farming bans are becoming increasingly widespread. Several countries in Europe have already prohibited fur farming (the United Kingdom, Austria, Croatia, Slovenia and the Republic of Macedonia), and/or presently phasing out fur farming (the Netherlands, Czechia, Bosnia and Herzegovina, Serbia and Norway). Yet let’s not forget, the path to achieving such prohibitions is not always an easy one. The fur farming industry vociferously claims that they do meet the animals’ welfare needs. They have also sought to challenge such legislation. In 2013, the Dutch Parliament banned the breeding and killing of animals for fur on the grounds that it cannot be ethically justified. 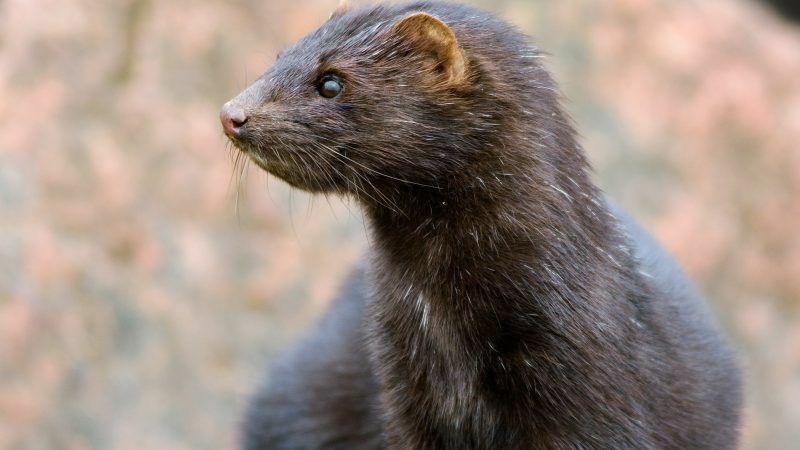 Dutch mink farmers took legal action, claiming that the ban was in breach of the fundamental rights of protection of property – as set out in the First Protocol to the European Convention on Human Rights. This argument was, however, rejected by both the Court in The Hague and the Supreme Court. Indeed, the Supreme Court ruled there is a fair balance between the protection of the fundamental rights of the fur farmers and the public interest served by the law. The lengthy phase-out period, which instituted in the ban, was considered a sufficient measure to compensate for the eventual financial loss. Animal welfare is a core EU value, which is set down in Article 13 of the Treaty on the Functioning of the EU. The Treaty places animal welfare alongside other important social values, such as gender equality, environmental protection and putting an end to discrimination. Opinion polls from a number of European countries demonstrate that the majority of citizens consider breeding animals for fur to be unacceptable. Pressure is growing on retailers to stop using fur in the fashion industry. For example, last year the luxury brands Gucci and Michael Kors announced fur-free policies with Gucci saying that taking social responsibility is one of their core values. The tide is turning and banning fur farming is the only viable solution. Millions of animals suffer each year on fur factory farms in the EU. It is clear that tinkering with the current housing systems, such as ‘enriching’ the animals’ cages, is not sufficient to address the serious welfare problems inherent to fur farms. Support for national bans as well as better enforcement of the Council Directive on the protection of animals kept for farming purposes (98/58/EC) and the Council of Europe Recommendation Concerning Fur Animals would bring positive results for animals. The Council Directive states that “no animal shall be kept for farming purposes unless it can reasonably be expected, on the basis of its genotype or phenotype, that it can be kept without detrimental effect on its health or welfare.” If adopted, the full enforcement of the Council Directive would mean that fur farming would be prohibited in the remaining EU Member States where it is still legal. The tide is already turning and it is time to Make Fur History. Once again, the anti-fur lobby has tried to start a debate about fur that lacks any balance or transparency. This time at the European Parliament. Lobbying groups Fur Free Alliance, Eurogroup for Animals and Otwarte Klatki and a handful of Polish ECR MEPs organised an event called ‘’Make Fur History’’ but, representatives from the sector being attacked were not invited to the roundtable. Instead the panel became an echo chamber of people with the same opinions. What is more, as Brussels media already pointed out, two of the three lobby groups behind the event, the Fur Free Alliance and Otwarte Klatki, are not on the Transparency Register, which raises questions about their transparency and commitment to the normal code of conduct for those engaging with the institutions of the European Union. Given Fur Free Alliance’s long history of lobbying and holding events inside the European Institutions they have had plenty of reasons to register but have chosen not to do so. While Council Directive on the protection of animals kept for farming purposes (98/58/EC) and the Council of Europe Recommendation Concerning Fur Animals were frivolously mentioned at the debate, while the existence of the sciencebased animal welfare programme based on the methodology of the European Commission’s Welfare Quality project® was conveniently omitted. As was the fact it accommodates requirements from the above mentioned Directive and Recommendation including provision of housing, food, water and care appropriate to the physiological and ethological needs of the animals. This selective approach of presenting information was expected from a roundtable comprising of speakers promoting only one single point of view. However, as an organisation representing a whole sector – from farm to fashion – Fur Europe is always willing to discuss with those that have views of our sector, be it positive or negative. Unfortunately, it seems the organisations behind the event prefers monologue rather than dialogue. Why else invite only those that share their point of view already?